Expensive surgical instruments deserve to be looked after. 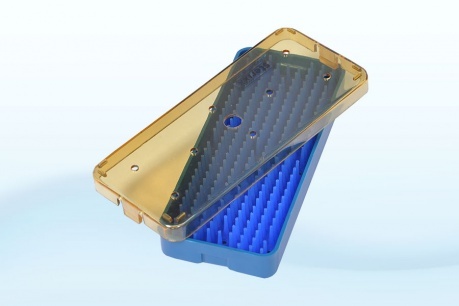 Sterixx™ sterilization trays are a reliable, effective & proven solution to meet all your sterilization needs. 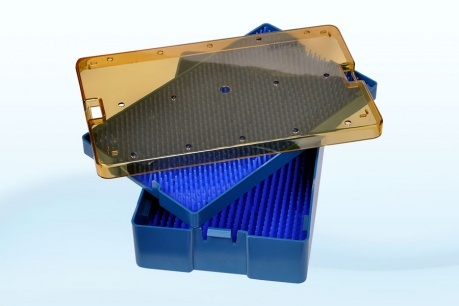 Sterixx™ plastic sterilization trays are manufactured to provide optimal structural integrity, thereby ensuring that the trays last a higher number of sterilization cycles. The effectiveness of Sterixx™ trays is enhanced by superior design which guarantees proper reach of the sterilizing agent used. Silicon Mats and holders allow for proper storage and sterilization of the medical instruments while ensuring maximum space utilisation. The amber coloured lid facilitates easy viewing of the instruments. 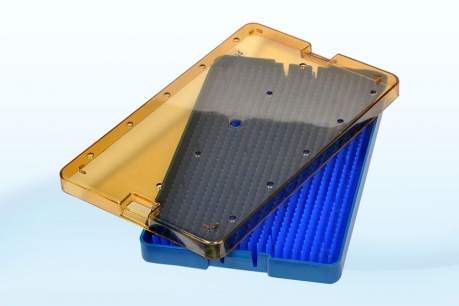 Sterixx™ sterilization trays are designed to suit all means of sterilization including Steam, Dry heat, Ethylene Oxide (EO), Chemical and Gamma. 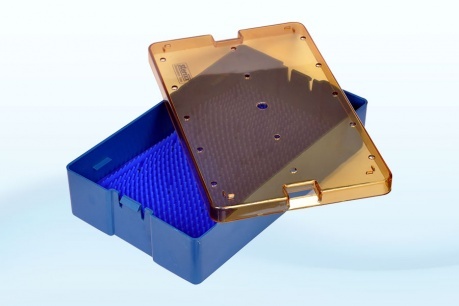 Siterixx™ trays have been designed after garnering invaluable feedback from our clients. Clients input is being used to continually upgrade and improve the product. The on-going emphasis on feedback based improvement distinguishes us from our competitors. Based on our ability to innovate we are targeting to be the premier plastic sterilization tray manufacturer and exporter, in this part of the world. 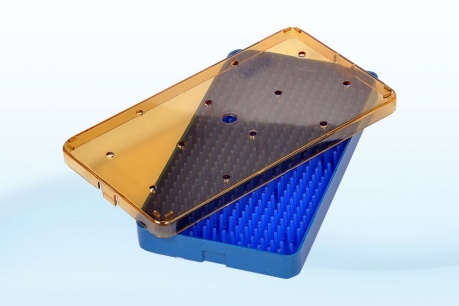 Strict plastic sterilization trays offer best in class performance at unbeatable prices, making them the preferred choice of surgeons and hospitals. Medical personnel all over the world vouch for the efficacy of Sterixx™ plastic sterilization trays. Sterixx™, expects to be the leading brand in this niche industry. We are already the leading plastic sterilization tray exporter from India, which is a testament to our high quality standards and operational effectiveness of our sterilization trays.